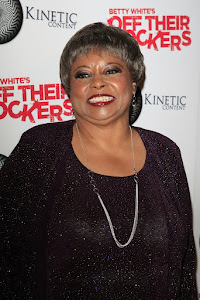 This is the official blog of actress Reatha Grey of Betty White's Off Their Rockers. "It's never too late, you're never too old. I'm healthy, working on wealthy, with a word for the wise!" American Ninja Warrior's Matt Iseman and Mr. Show's John Ennis and special appearance by Reatha Grey On TMI Live! Copyright 2012. Simple theme. Theme images by fpm. Powered by Blogger.